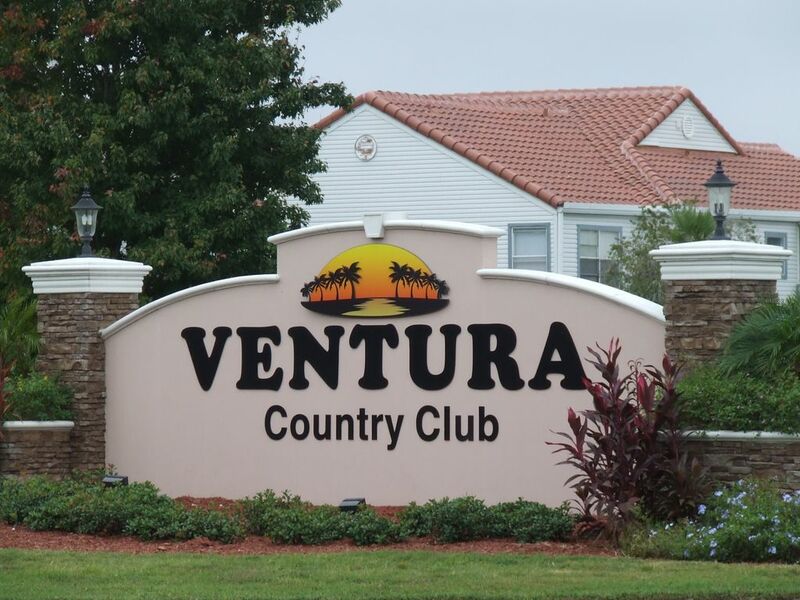 "The Mouse" + the "Comforts of Home"
Beautiful renovated 2 bedroom/2 full bath condo located in 'Ventura Country Club' in Orlando. Only 6 miles from Orlando international airport and only 20-30 minutes to Disney World, Sea World and Universal Studios. Want to go to a beach, Cape Canaveral and Cocoa Beach only 50 minutes away. Our recently renovated condo, located on the first floor is furnished with a fully equipped kitchen, including dishes, silverware, coffee pot/mugs, microwave, toaster oven, crock pot, electric skillet, stove, refrigerator with ice maker, dish washer, blender, mixer, toaster, and even the toothpicks. There are three flat screen TV's, one in the den with DVD and one in each bedroom, 26' in master bedroom, 19' in second bedroom. All new furniture throughout. In addition, we furnish linens, pillows, beach towels, high speed internet and free local and long distance telephone service in the US. A washer and dryer are furnished for your convenience. Neither housekeeping service nor linen exchange is provided. Enjoy that morning cup of coffee in your private screened patio. Our goal is to provide you a convenient and safe place for you and your family. Something for all the family to enjoy while planning your next adventure in Orlando. No smoking or pets allowed. Please check calendar for dates available. If you enjoy the security of knowing you and your family are in a safe area. If you enjoy walking, jogging, or running in a beautiful tropical setting. If you enjoy kicking back and enjoying a relaxing dip in the pool or hot tub or soaking up the sun in beautiful Orlando, then our beautiful condo is for you and your family. The other amenities are: * Secured gated community * Tennis courts * Basketball courts * Shuffleboard * Kids play ground * Heated pool * Club house * 18 hole golf course * Restaurant/Lounge * Fitness room * Walking trails * Hot tub Please check calendar for dates available. Different experience for us, as we usually stay in the Kissimmee, International Drive area. Enjoyed our stay , comfortable , condo was just right size for two. We had a little problem when we arrived. The cleaning person had not cleaned the Condo - we called Debbie and explained the sheets and towels where in the hallway and the beds had not be made, and the dish washer had not be run etc. She called the cleaning person and apparently she had cleaned the wrong condo. She came over and made the beds and talked to us about cleaning the condo on Monday while we played golf. We left while she made the beds and put the sheets in the washer. She did not start the dishwasher with the dirty dishes in it. So we started the dishwasher, put the sheets in the dryer, When dry we folder them and put them away. We left Monday to play golf and decided to visit our friends down in Cape Coral and did not return to the condo until Tuesday afternoon., Condo was cleaned and this time we found the towels in the dryer and once again folder them and put them away. Bottom line is we enjoyed the condo and would rent it again even with the cleaning problem. I so appreciate your comments of our condo. I am so sorry for the confusion and the lack of service before you arrived. We do hope you will give us another chance to show you we can do better. Nice place and confortable. Quit, clean and good area. Thank you for your review of our Orlando condo. Perfect location and cozy place! We stayed at Debbie's place during the Holidays to visit the parks. The location was perfect! Not too far from the parks but far enough from the crowded places and traffic. Also, if you are a runner you will also enjoy a relaxing run/walk in the beautiful community. The pool was also very close. Perfect to recharge after a long day visiting the crowded parks. Thank you Debbie for the hospitality, we enjoyed our stay. Everything worked fine, plenty of amenities like cooking utensils, towels etc and beds were comfortable . After the mishap of not being clean on arrival, the ladies cleaned the place well. If I were there longer, would like to have more light in the bedrooms. So glad you enjoyed your stay at our rental. I appreciate your patience with the cleaning mishap. This has not happened before since having this vacation rental with this cleaning crew. Enjoy the club house restaurant for that morning brunch before that round of golf or later for that special dinner. Lighted tennis courts and large playground will please the kids. Only a mile to shopping areas and a varietly of dining choices. Weekly Rate: $550 - $600 Oct 1st - Nov 30 - $550(7 nights) Dec 1st - April 30 - $600(7 nights) May 1st - Sept 30th - $575(7 nights) Please check calendar for dates available. Unit is leased from Saturday to Saturday. Low Season - October 1st through November 30th = $550 week Mid Season - May 1st through September 30th = $575 week High Season - Dec 1st through April 30th = $600 week Monthly rates are based on 30 days (4 weeks). Cleaning fee of $80.00, if lease for less than 3 months. There is a deposit of $250 which is fully refundable if all lease requirements are met and the unit and contents are not damaged.